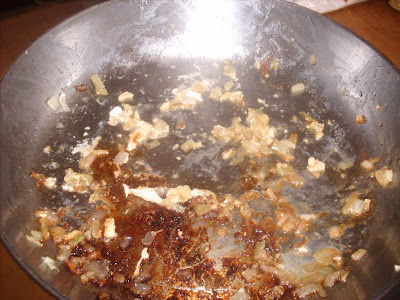 Heat the olive oil in a non-stick frying pan on high heat. Add the garlic, ginger, and green onions and fry until the garlic and ginger are aromatic. 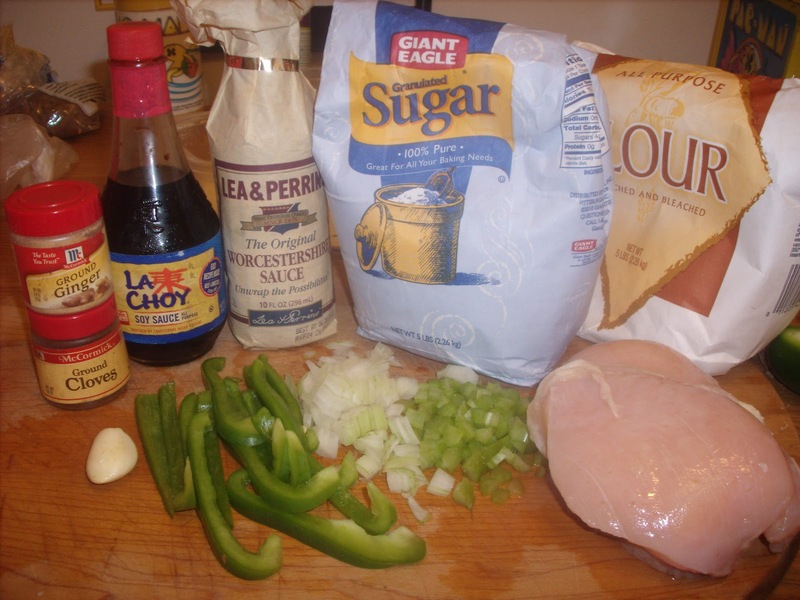 Add the chicken and cook until the chicken is browned. 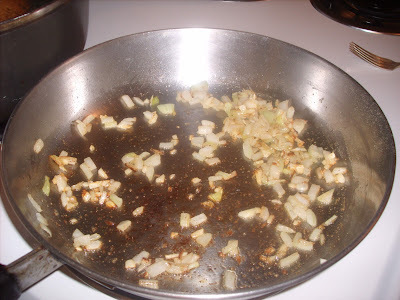 Add the pepper, water chestnuts, and celery to the frying pan. 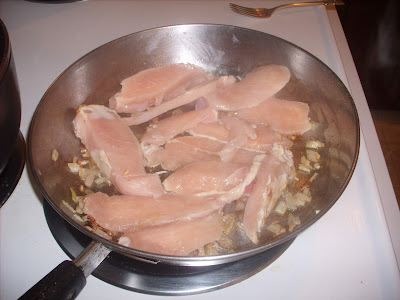 Add the chicken back into the skillet. 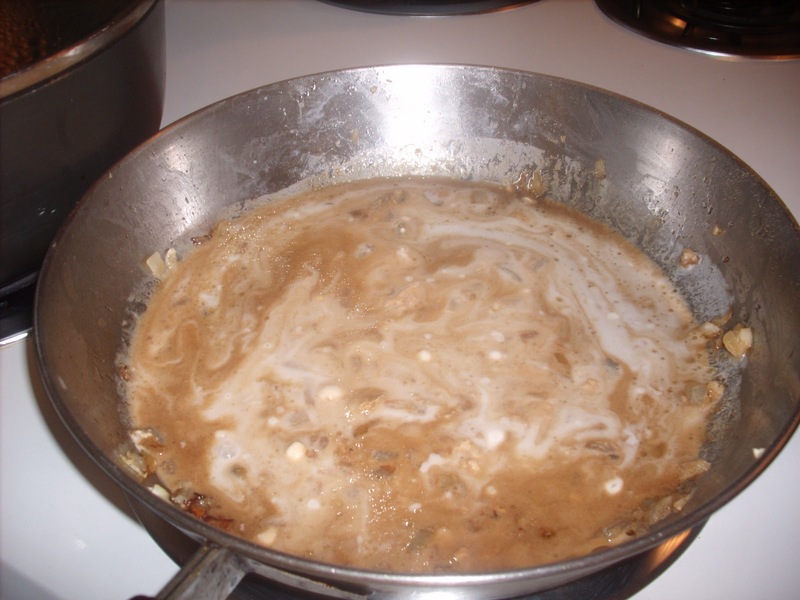 Cook for 2 - 3 more minutes, stirring, to heat through and finish cooking the chicken. 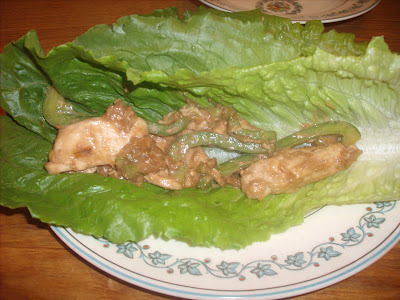 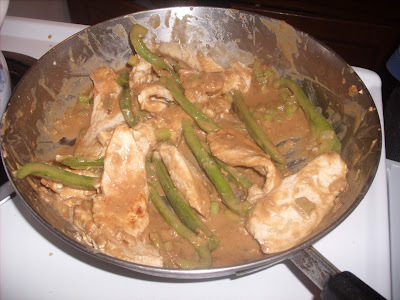 Lay out a lettuce leaf and spoon a heaping teaspoon of the chicken and vegetable/sauce mixture into the middle. 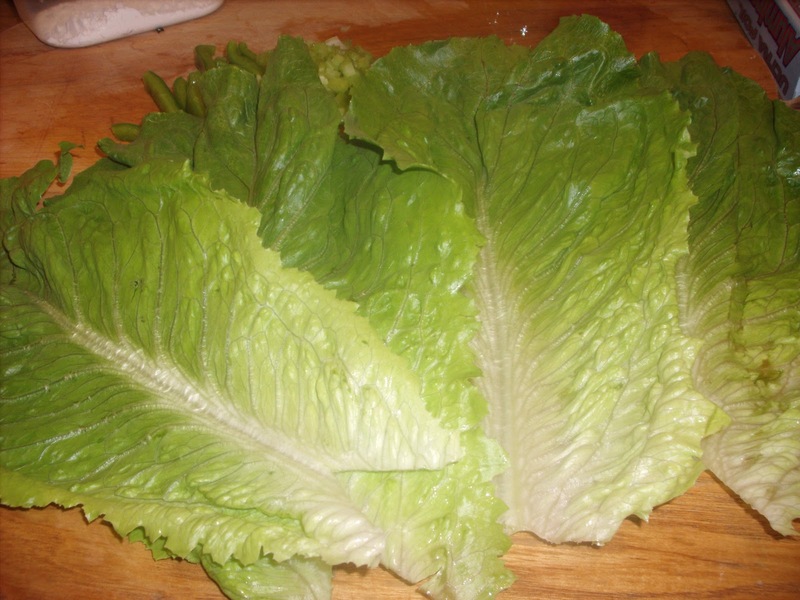 The lettuce wraps are designed to be eaten "taco-style," with the lettuce/chicken mixture folded into a package. 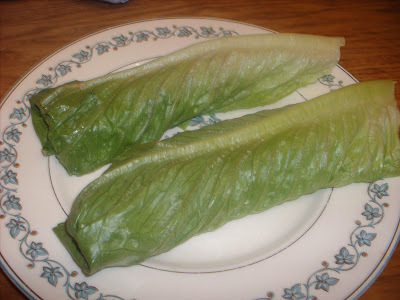 I tucked in the bottom of the wrap like a burrito. 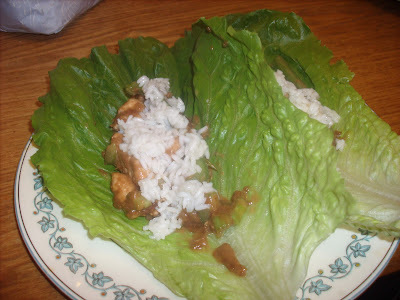 My dinner plates are small so two lettuce wraps took up the whole plate. Spoon some white rice if you feel so inclined or serve it on the side.